In Washington, DC, our partner’s website is http://washingtondchoodcleaning.com/. Again, this is one of our newer projects. 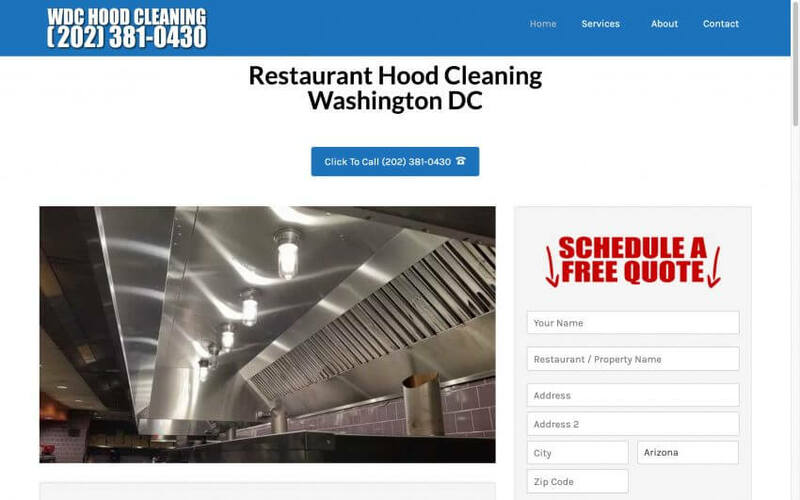 Our goal in Washington DC is to build a website that will sustain a 30 person hood cleaning company and allow them profitable growth and to dominate the restaurant hood cleaning business there. It’s a tough market but our client in Washington DC is excited for the opportunity to grow.